When you're a girl or a guy on the go, it's tough to think about slowing down to declutter your home. Cue Nikki Boyd, a master organizer, who just released her first book, Beautifully Organized, a guide to function and style. 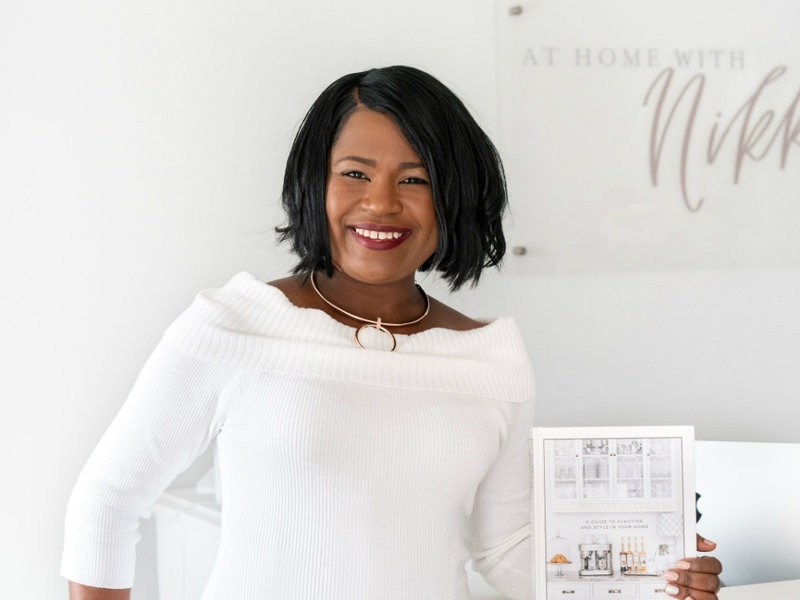 Boyd chatted with us about her best tips to creating an organized, beautiful and welcoming home. Walk me through how I should be assessing the rooms in my home and how often. NIKKI BOYD: As you assess the rooms in your space, think about how the space is currently functioning first, and then envision how you would ideally like it to function. Often, we don’t use spaces in our homes in a way that optimizes them for how we actually live. I think it’s a good idea to do an overall assessment of your home at the start of each new year, or when major life events take place that will impact the home, such as welcoming a new baby or when kids leave for college. 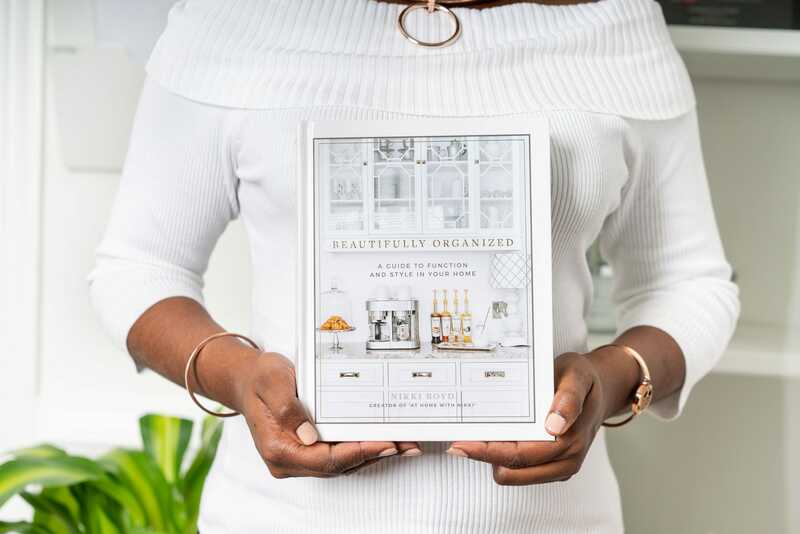 In my book Beautifully Organized, I take readers through the process of assessing each room in the home, as well as how to declutter, clean, organized, and beautify each space. I imagine people have different levels of clutter and might not even know how severe theirs is. What's a good guideline to knowing when it's time to reorganize? NB: In my experience as a professional organizer, I have found that people often don’t realize just how much their lives are impacted by clutter. They are frustrated by the clutter that surrounds them, but they have simply gotten used to that feeling. In reality, though, many people lose money, time, and energy in their daily lives due to their cluttered homes. If you have ever purchased an item that you already own because you couldn’t locate it in your home, or if you have walked out the door in the morning feeling frazzled because you had to scramble to find what you need for the day, then it is probably time to start the decluttering process! There is some charm to a little bit of chaos, no? NB: Absolutely. But, I like for people to add the chaos—not things! When my children were young, I loved the chaos of them running through the house, one singing as I worked on a school project with the other. Those are beautiful memories. However, I can’t say that I’ve ever felt the same joy from walking into a chaotic, cluttered room! What are some decluttering hacks that make all the difference? NB: Be a giver. As I declutter my own home or when I help others to declutter their homes, I always look for opportunities to help someone who is in need. The warm feeling when the process is finished is twofold: I have a tidy, beautiful space, and I have helped someone else. Which are the most overlooked rooms in the home? NB: The garage is hands-down the most overlooked space in the home. Many—I would even say most—homeowners use their garages as a dumping ground for anything and everything that doesn’t have a designated place. Instead, I recommend that people treat their garage as if it is a room within the home, and incorporate in into their weekly cleaning routines. When you clean your house each week, dedicate some time to tidying the garage, too. Where do you find yourself looking most for style and inspiration? NB: I am inspired by the smallest things! Something as simple as a beautiful writing pen can inspire me. I love to look at beautiful things and find ways to make them function efficiently in a space. Whether it’s the inside of a drawer or a bookcase that occupies a prominent place in a living room, I am always inspired to marry function and beauty. How do you create a space that encourages productivity? I often find myself feeling like I can't get work done from home. NB: When it comes to productivity, I think it’s essential to identify your own “sparkle time.” This is the term I use to refer to the time of day when you are your most energetic and creative. If you can identify this time, it is valuable information that will help you to structure your day so that tasks that require energy and creativity can be scheduled accordingly. I also find that my productivity is enhanced when I engage all of my senses. As you prepare to work, make a cup of tea, turn on your favorite music, and turn on a desk lamp that gives a warm glow. I even encourage my clients to use essential oils like eucalyptus or lemon to infuse their work spaces with an energizing scent. These factors will elevate your mood and positively influence your approach to the work in front of you.